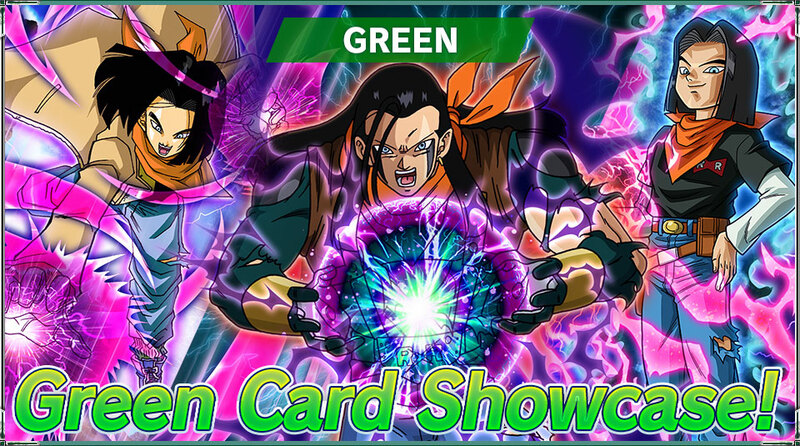 Let’s take a look at a few green cards from series 5! 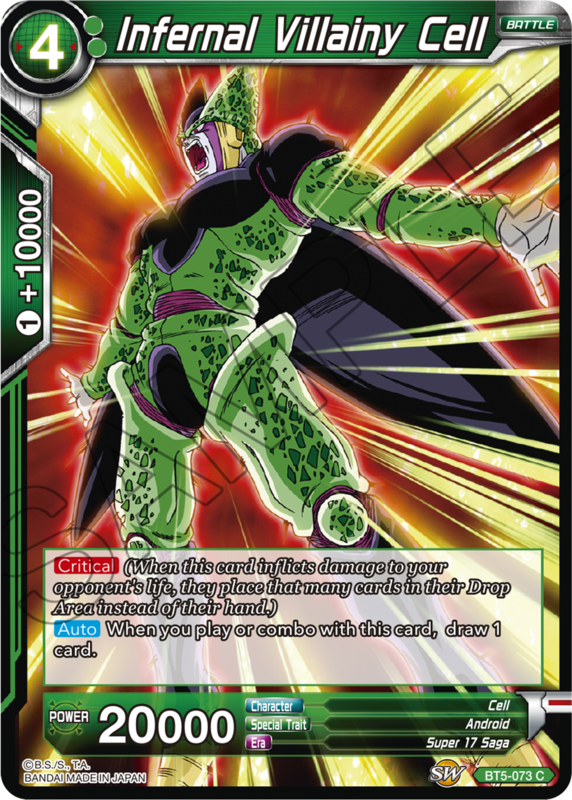 Green in series 5 is mostly focused on Super 17!! 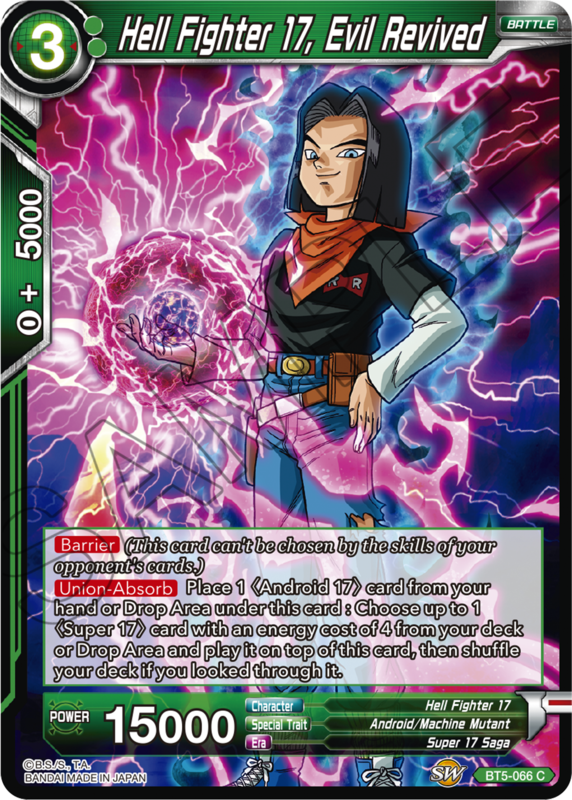 Build your perfect Android Deck!! 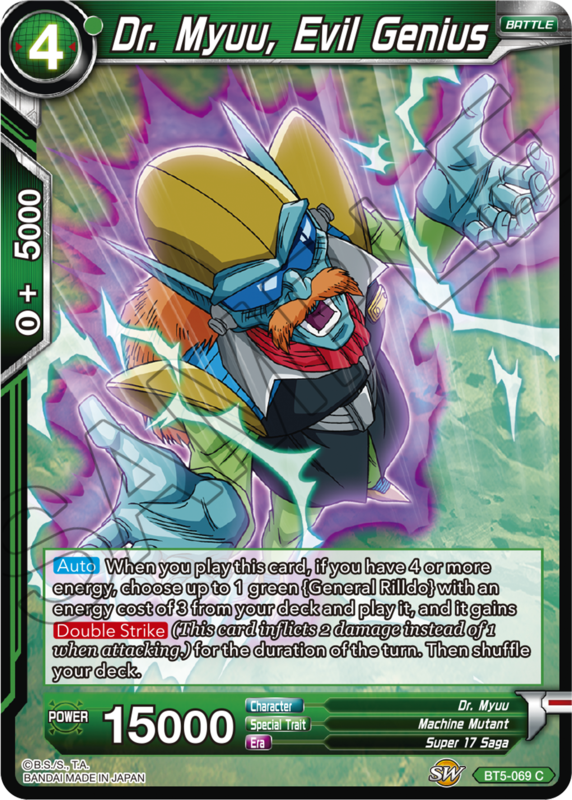 Android Decks already have a bunch of hand destruction. 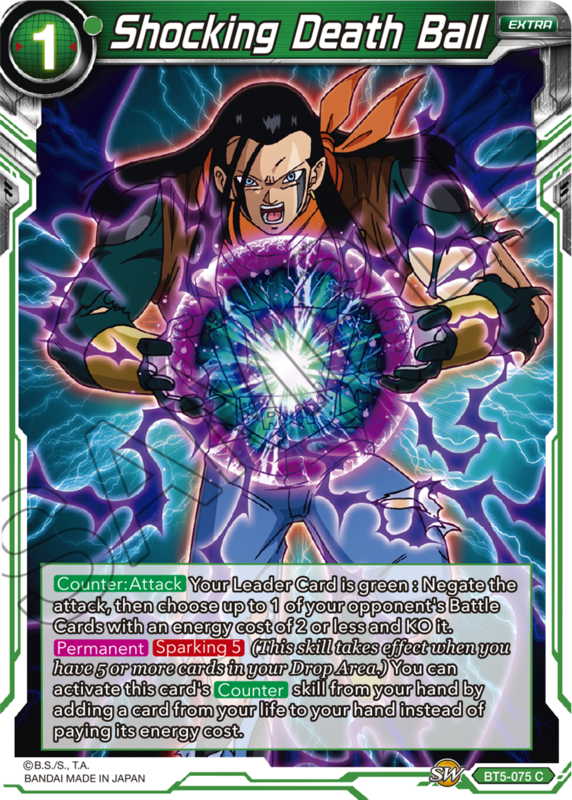 So a Leader with Critical is a great way to put even more pressure on your opponent! 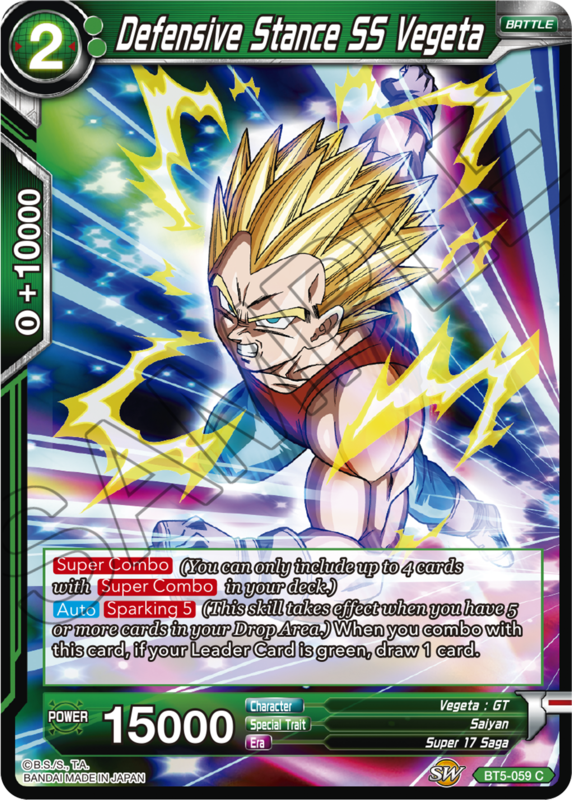 With the right board, this card can take advantage of green Desire cards to set up amazing combos! 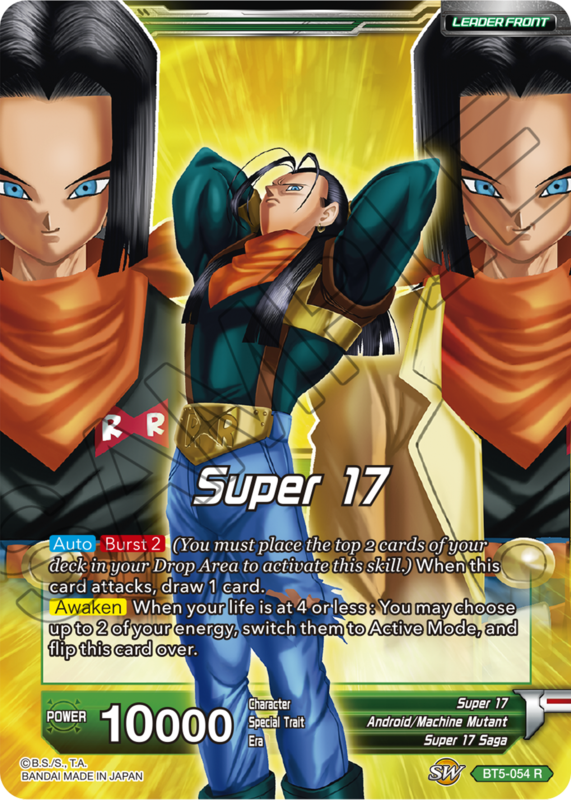 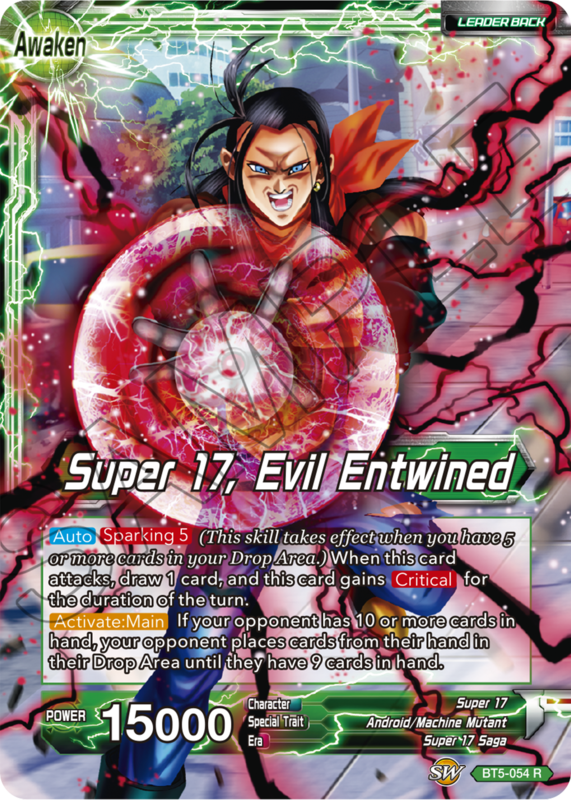 Use the Union-Absorb skills on these cards to go from Android 17, to Hell Fighter 17, and then Super 17 with Cell Absorbed! 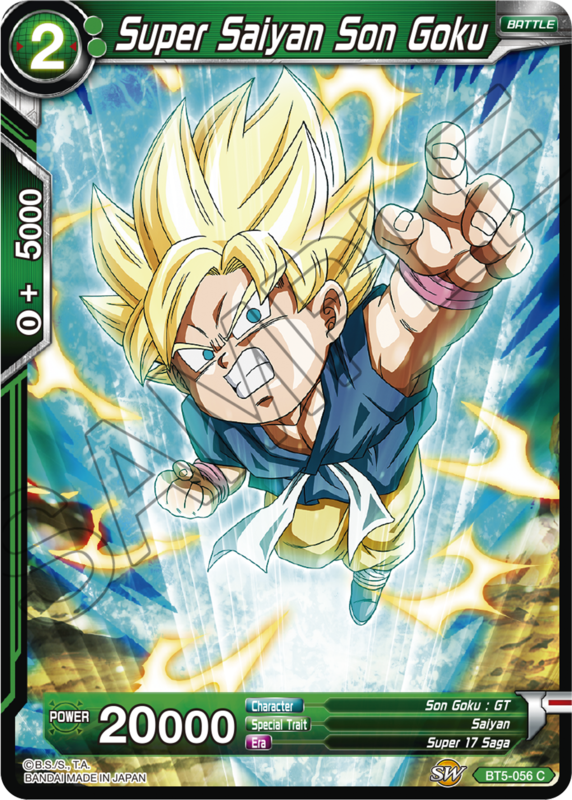 It's easy to pull off, and all the cards have useful and deadly skills! 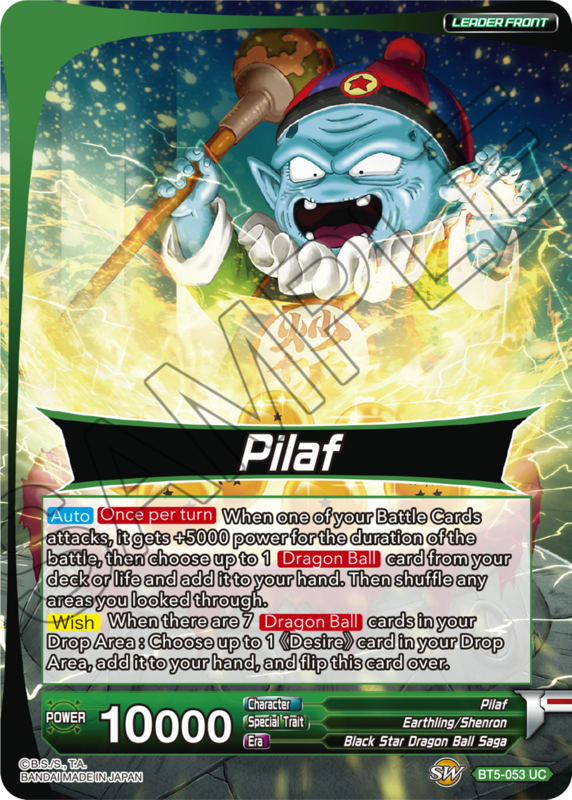 There's plenty of deliciously vile support cards as well! 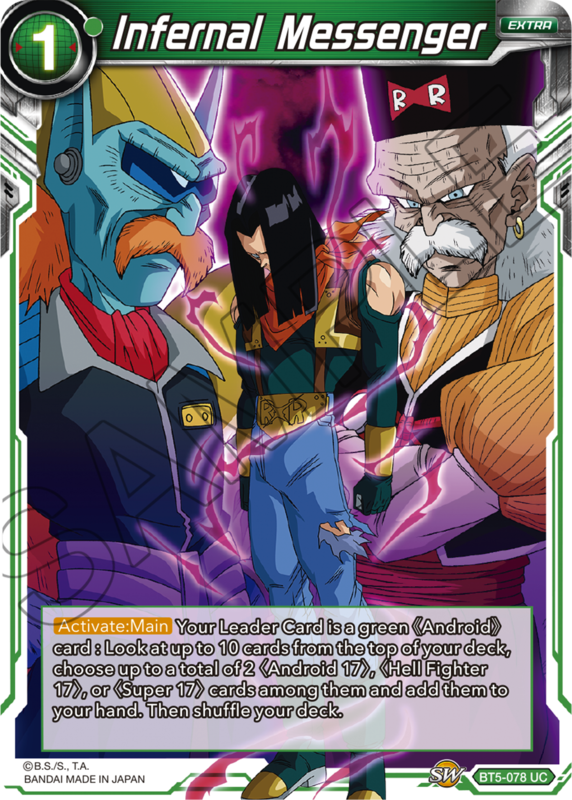 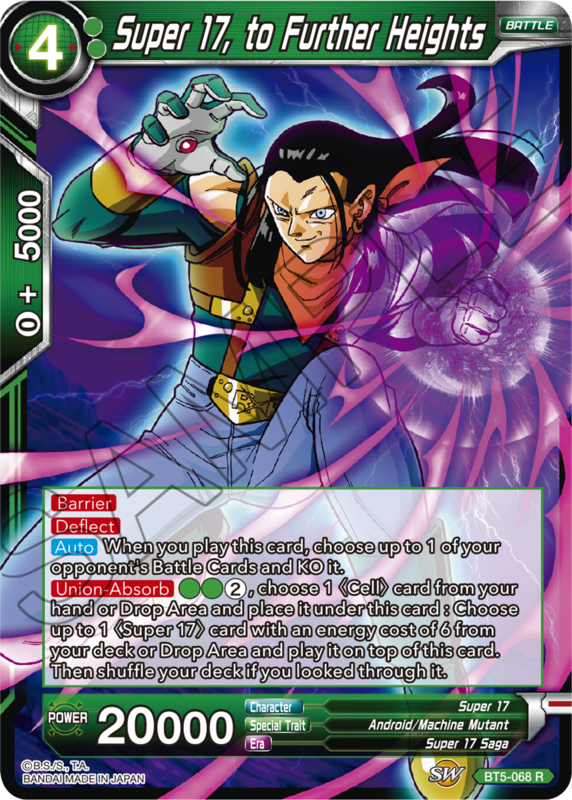 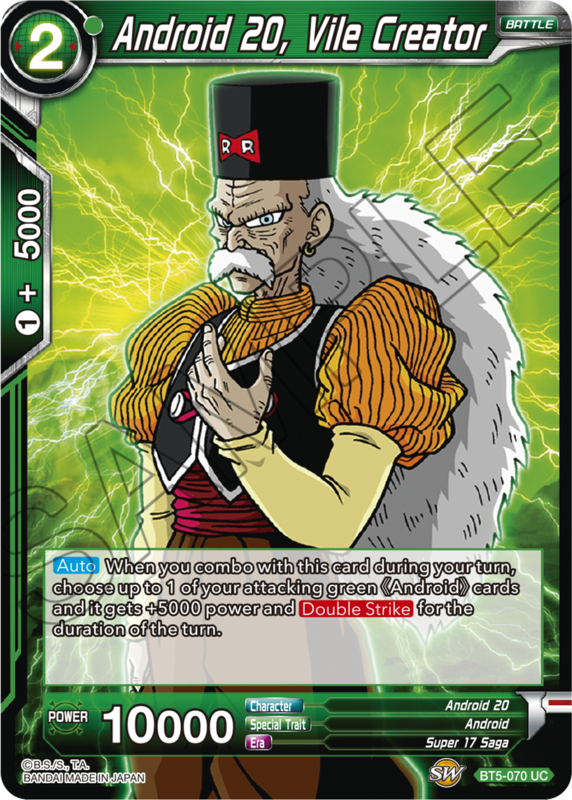 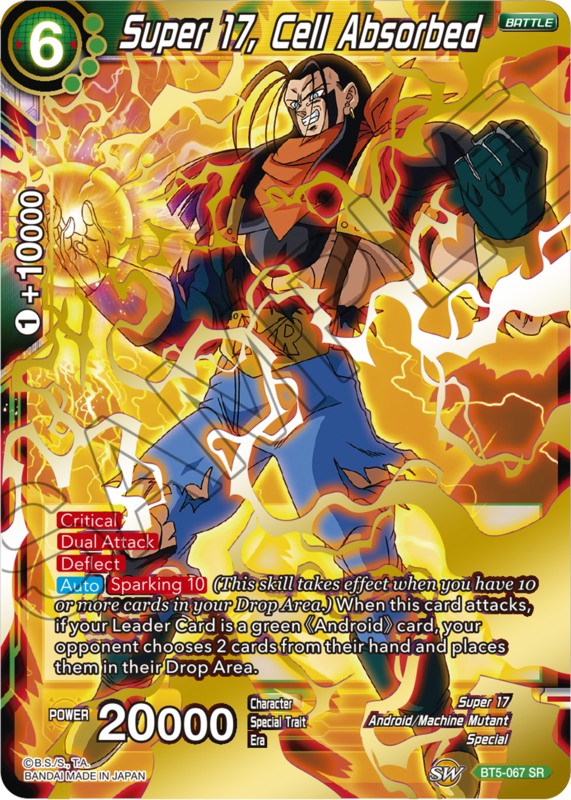 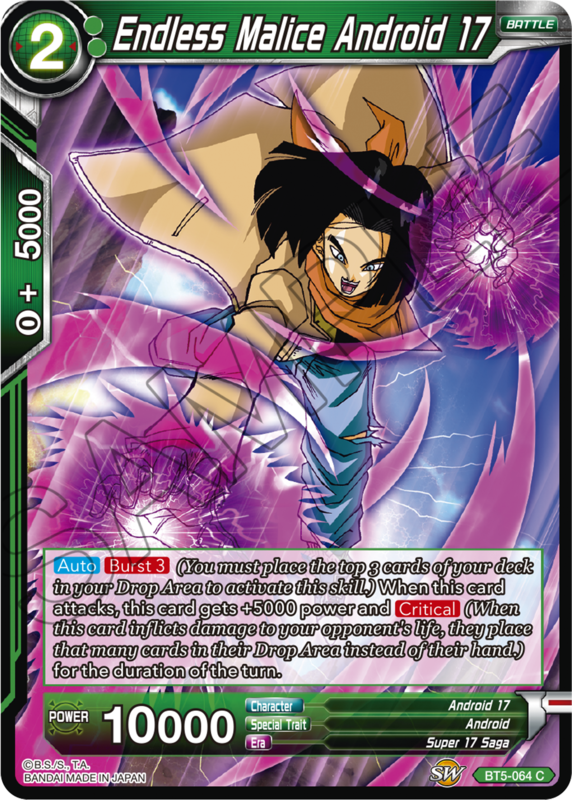 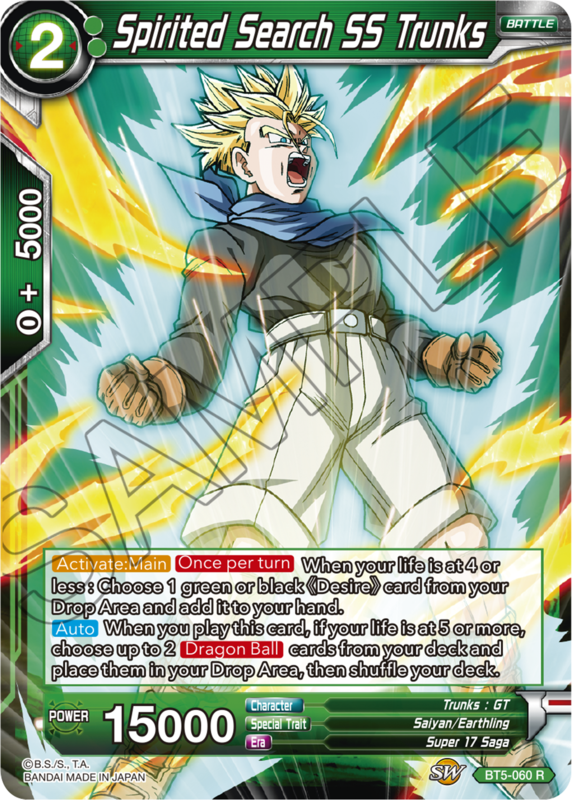 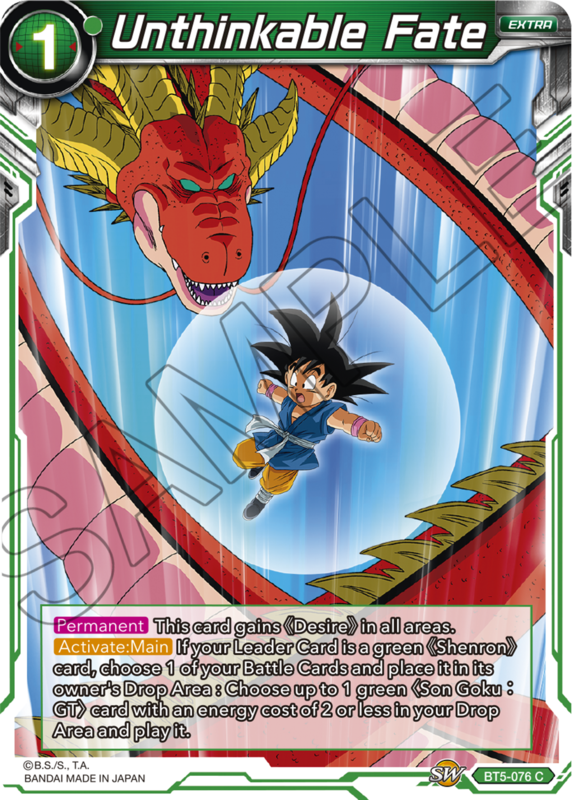 The Z-Warriors have some great cards to support Wish Leaders! 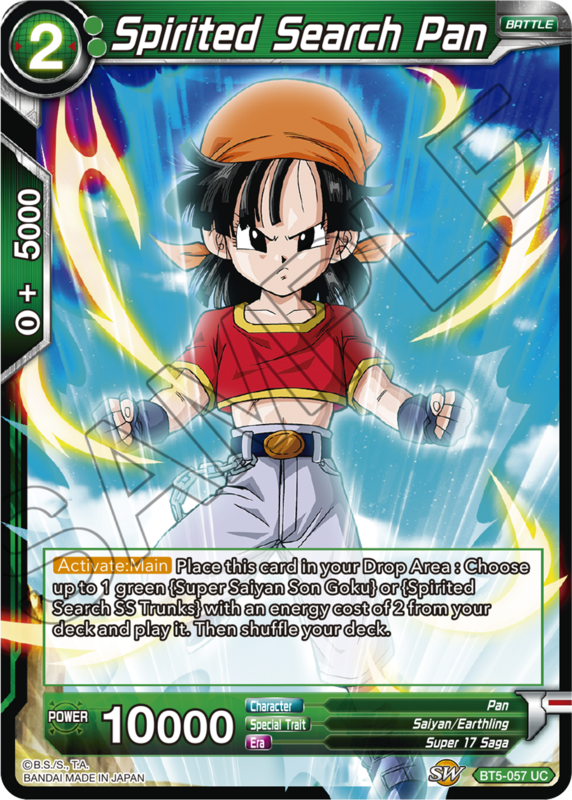 Pan and Trunks can be used in tandem to search out Dragon Balls quickly! 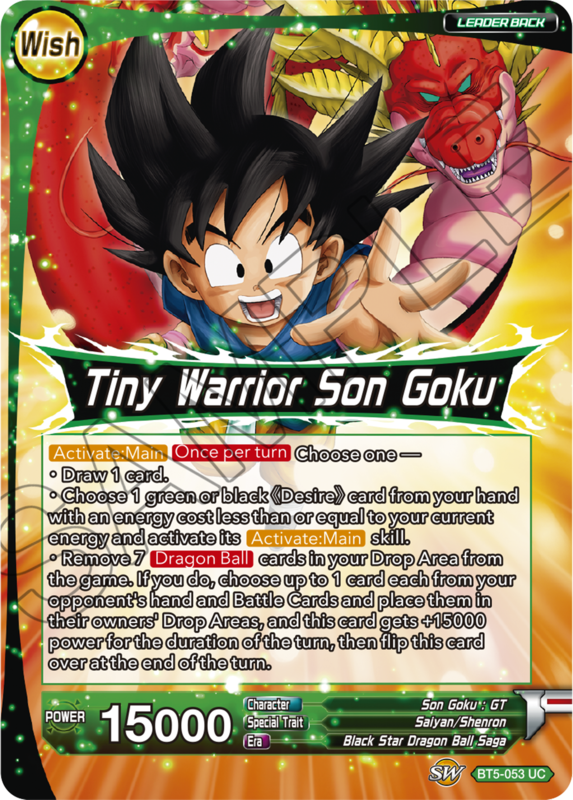 Use these guys with Extra cards and pull off some awesome combos! 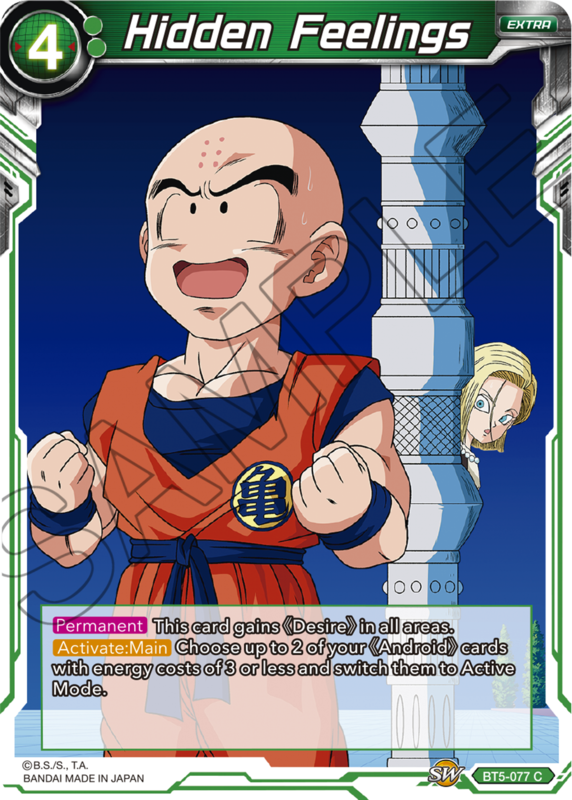 There's a lot of quirky cards for certain situations, but they're all extremely strong when paired with other cards! 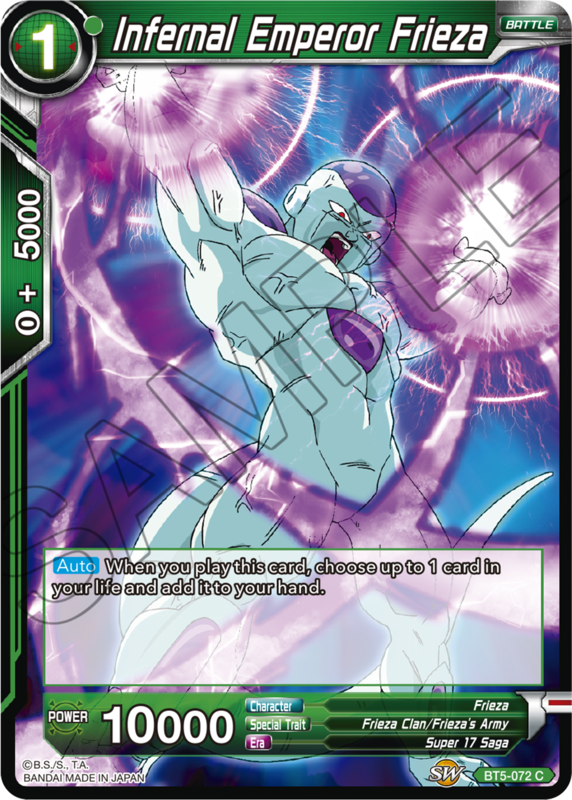 Find your own combos and use them to pin down your opponent!